Defense, special teams will continue to make the difference in Game 3 Sunday in Las Vegas. 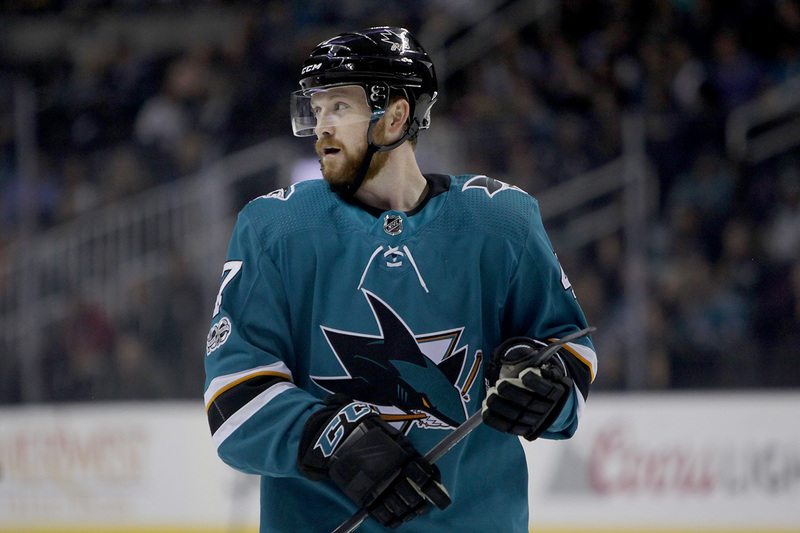 The San Jose Sharks dispelled some of the doubts that had followed them into the Stanley Cup Playoffs. It seemed fitting that the first goal between the Sharks and Golden Knights would come off of a body, not a stick. 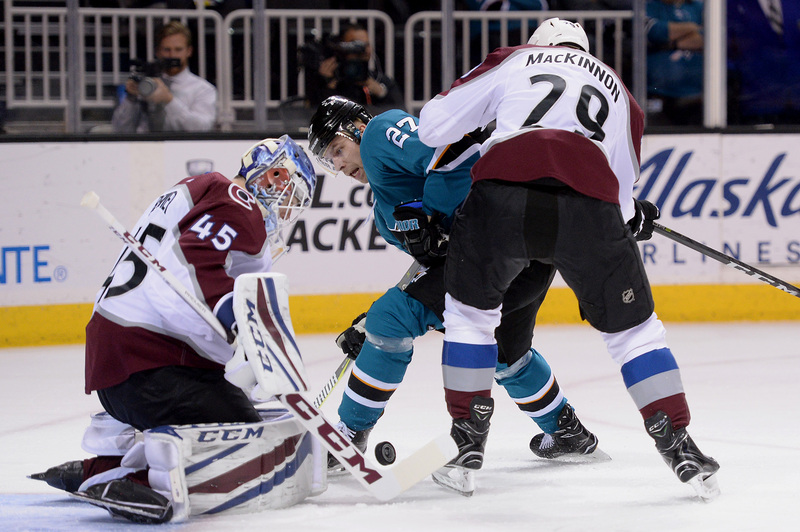 One night after falling to the Kings, the Sharks again fell flat to an inferior opponent. After a 4-2 loss to the hapless Kings Thursday, one of the NHL's elite teams is suddenly in a rut. Two weeks ago, the Sharks lost to the Winnipeg Jets at home despite outplaying an elite opponent in several areas. The Sharks fell to the Jets 5-3 in an tightly-matched game between two of the hottest teams in hockey. 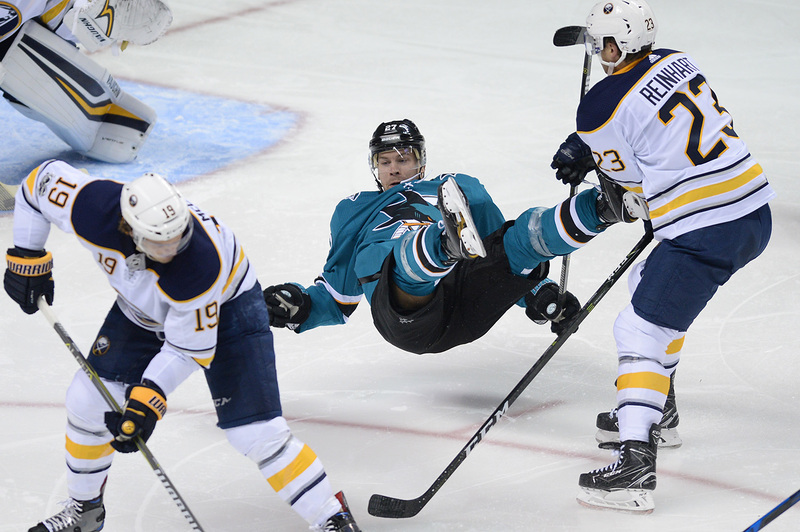 Believe it or not, the Sharks entered Thursday’s game with only one winning streak longer than two games this season. The "Shark Tank" was listless early, watching the Devils take the first seven shots and draw a power play. 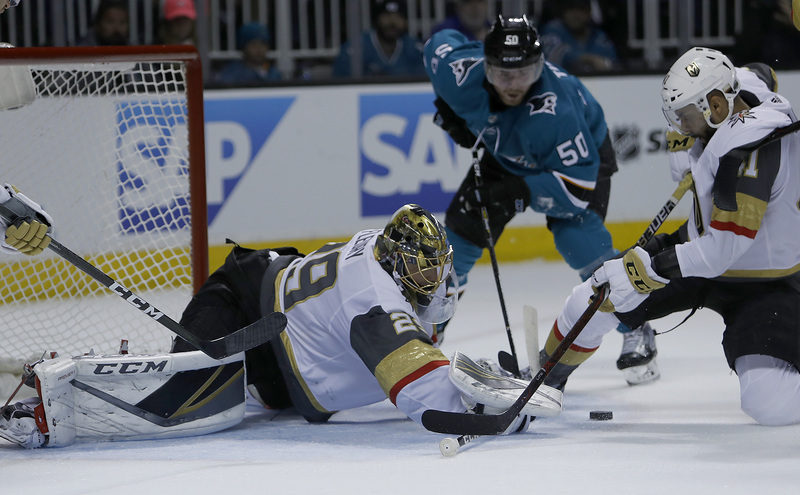 The Vegas Golden Knights held off a late San Jose surge to prevail 5-3 and push the Sharks into a must-win Game 6. Martin Jones looked like a completely different person in net, recording 34 saves en route to a shutout. 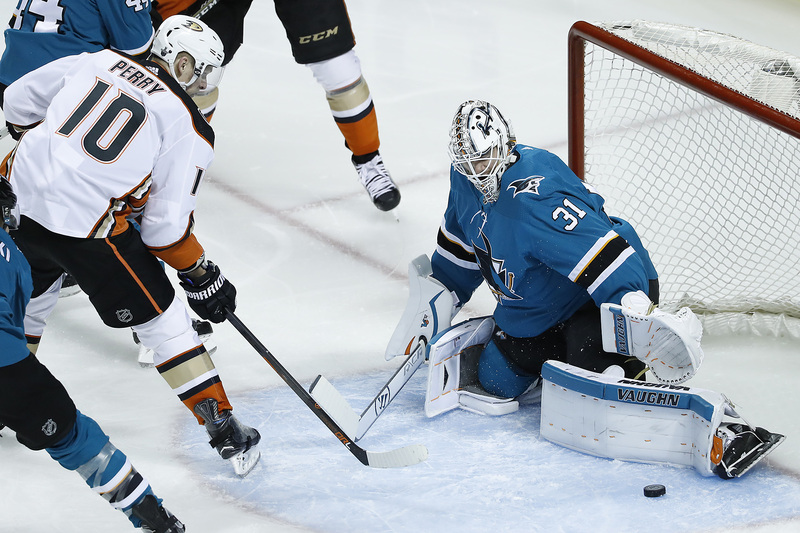 After taking two games at the Honda Center, the Sharks returned to SAP Center Monday to dismantle the Anaheim Ducks. After surrendering their home-ice advantage in Game 1, the Ducks entered Game 2 with an obvious emphasis on aggression. 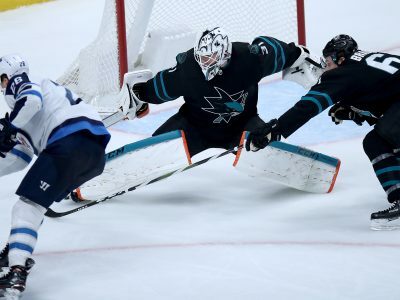 It was a three-goal second period along with a 25-save shutout from Martin Jones that gave the Sharks game one of the series. Desperately needing a win after dropping their last four games, the Sharks delivered two goals in the third period. A two-goal first period by the Sharks would be trumped by a Jamie Benn hat trick as the Stars pulled off the comeback. The 2-1 victory extends the Sharks' win streak to six pulling them within six point of the Pacific leading Golden Knights. 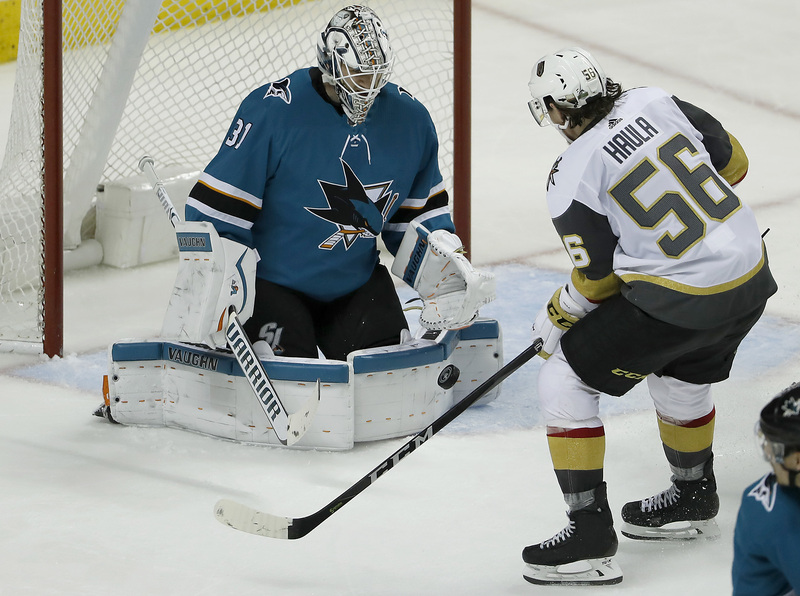 Coming off a triumphant 4-0 road trip the Sharks wasted no time at all coming out firing with a three-goal first period Tuesday. 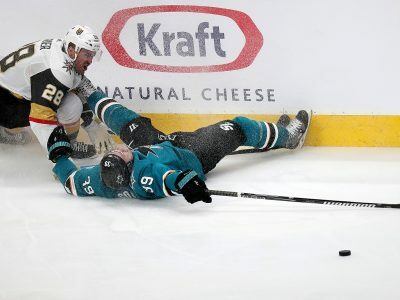 After outscoring their last three opponents 14-8, the Sharks goal barrage was brought to a halt for more than two-and-a-half periods Thursday. 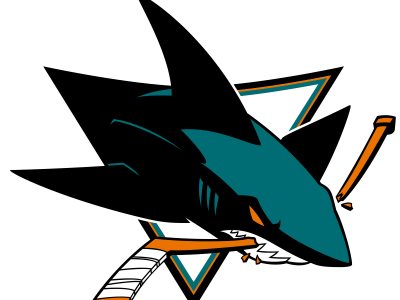 Behind a 43-save night from Jones, the Sharks provided an offensive showcase crushing Vancouver, 4-1, Thursday at SAP Center. San Jose was never able to figure out rookie net-minder Scott Wedgewood, finishing scoreless on four power plays. 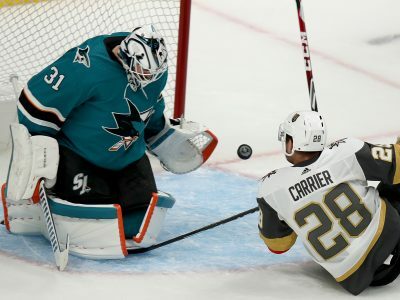 the expansion Vegas Golden Knights tallied three straight goals in the third period to best the San Jose Sharks 5-3. 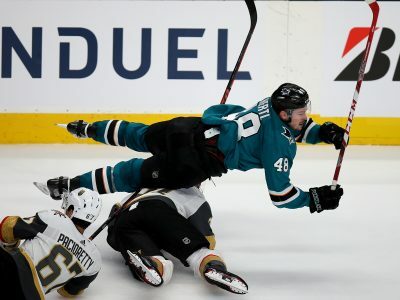 With the unofficial first half of their season coming to a conclusion Thursday, the Sharks are preparing themselves for yet another playoff push. Thornton’s three points gave him 1,417 points in his career, propelling him past Doug Gilmour into 18th place on the NHL’s all-time points list. After an 0-2 start to the season, San Jose bounced back Thursday night for their first win.